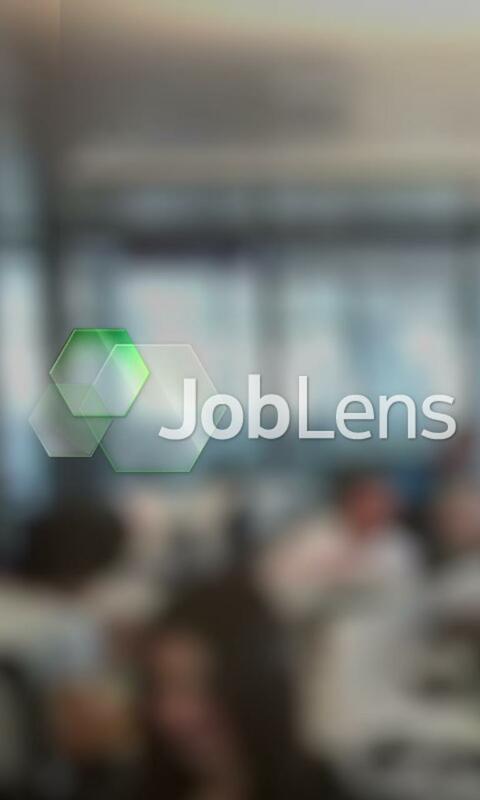 Nokia expanded its exclusive Windows Phone 8 app offering on Wednesday by launching JobLens, a new application that’s available to U.S. and Canadian owners of Nokia Lumia devices. 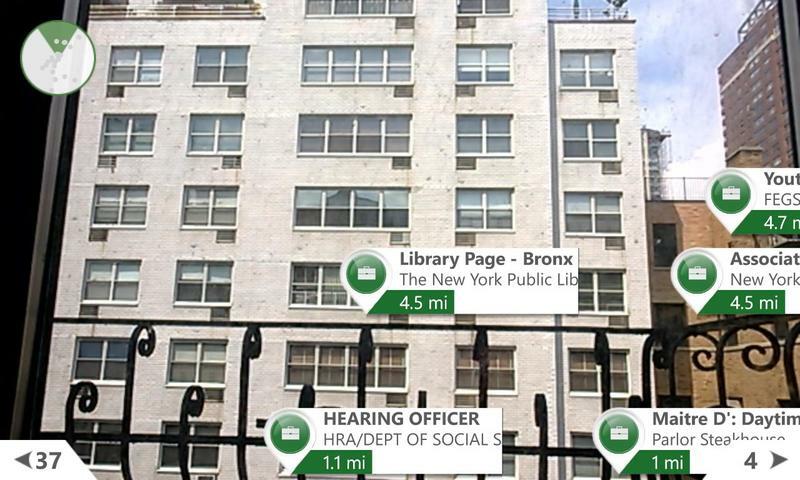 The application takes augmented reality technology and combines it with Nokia’s HERE maps, which allows users to take their phone and scan the city to see current job openings. 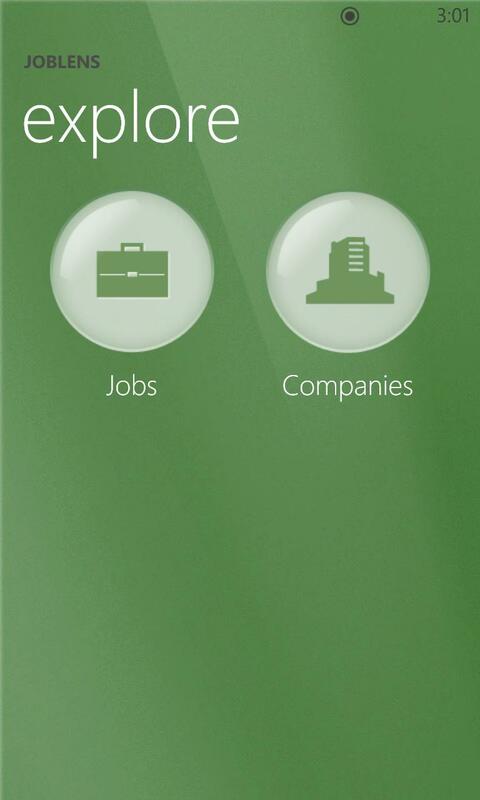 It syncs with LinkedIn, Facebook, Twitter and Windows Live contacts and delivers results based on who is looking for jobs. We tested a beta version of the software. 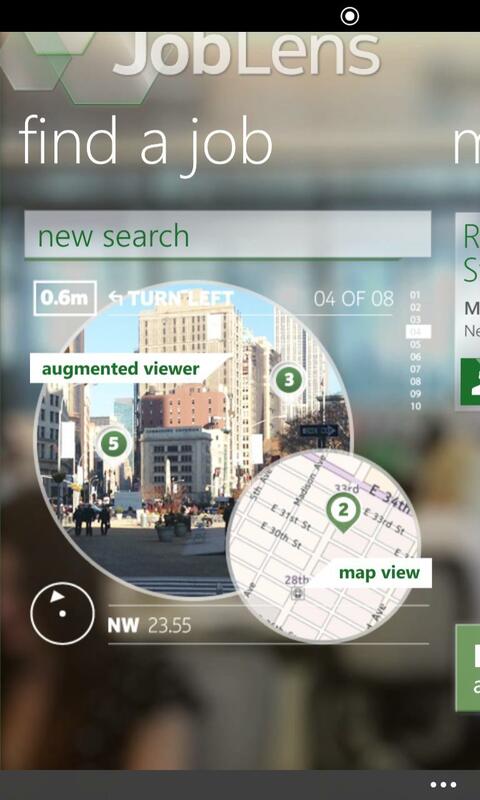 which lets you look for jobs from either a map view or an augmented reality city view. It immediately had us sign in to Facebook and LinkedIn accounts after which it said it was building a data base of “connections and companies in [our] social graph.” You can create a resume directly from the app and save it to your SkyDrive for submission to any jobs you might find, and found several jobs in our immediate area, including one at the local hospital, another at a bank, and, oddly, one for a spot at a firm in Seattle. It clearly took our LinkedIn position into consideration, however, which was interesting, and recommended jobs with the same title that we have listed on the social network. 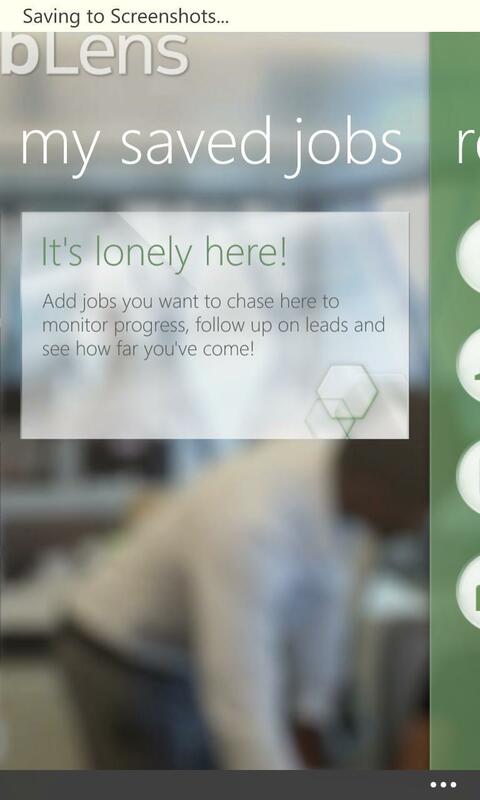 The augmented reality viewer can be tweaked to show companies that are hiring, or specific jobs, though, from Manhattan, several jobs seemed terribly far away. 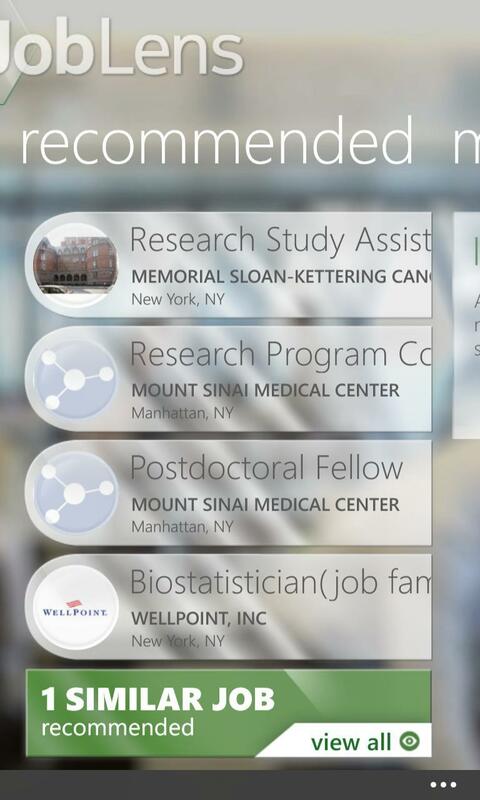 The aforementioned hospital job, which is relatively close by, didn’t show up in augmented reality view. 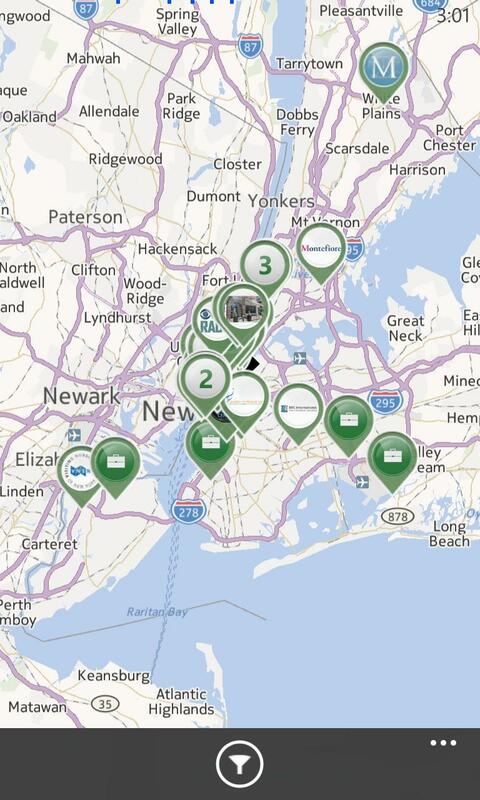 It also didn’t show up on map view, so we wonder if there’s a sync problem between LinkedIn and the AR/Map views. The application is free, so we can’t complain too much, but we think most people will be better served looking for jobs from a computer. Who knows, though, it can be tough finding a new gig and the more options the better.